It’s here… The season of Christmas parties is upon us. I don’t know about you guys but I stress out really bad when it comes to party season. I never know what to wear, how to do my hair and makeup… Kayne gets fed up of the billion questions. This year, I’m going to be *prepared*. 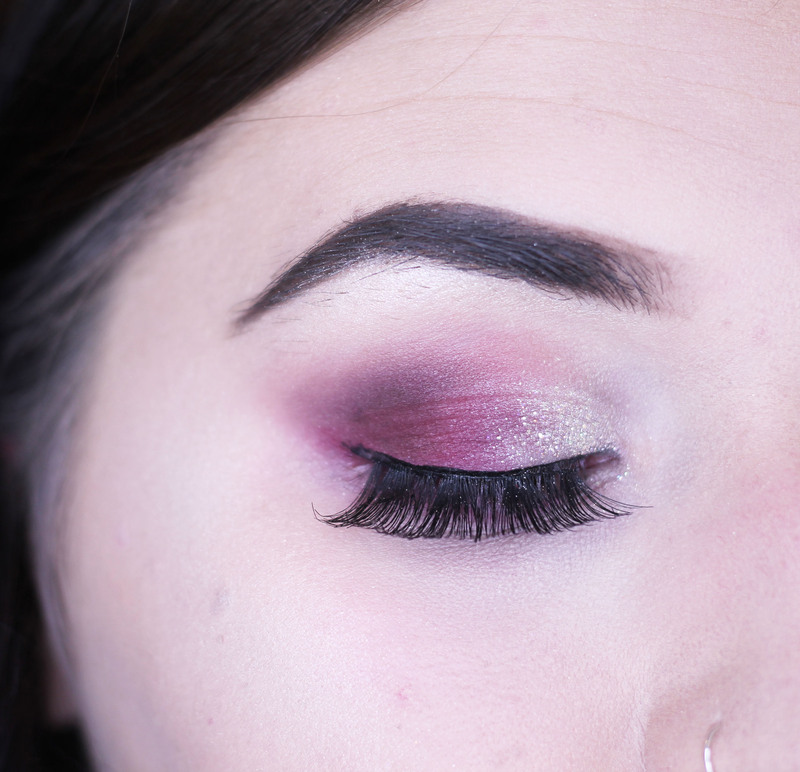 Here’s my choice for a night time festive makeup look! It’s all glitz and glam at this time of the year isn’t it? You have three Christmas parties, seven meals, four nights out and on top of all that, New Years Eve to think about. It can be quite over whelming to think about. Especially, if you’re like me and you can’t wear the same outfit twice because you get well paranoid or your worry about how to do your makeup for every single event on the social calendar over Christmas. 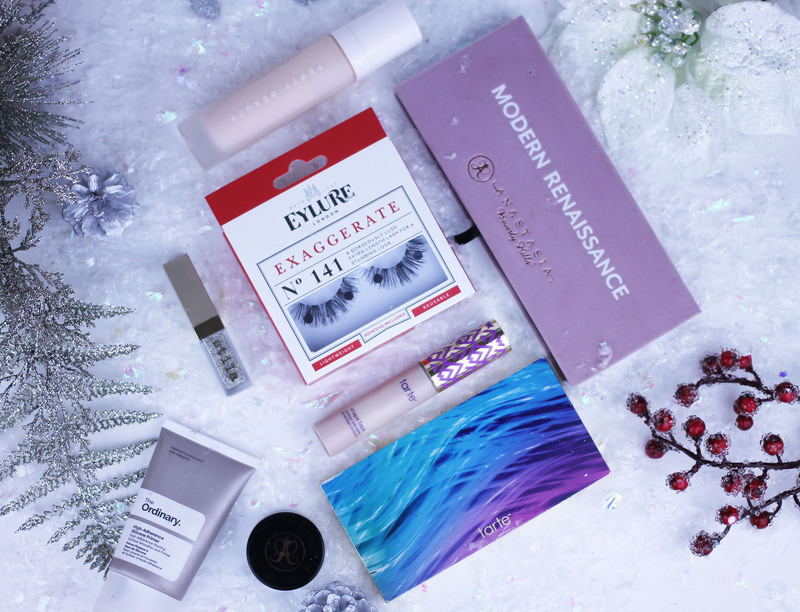 Here’s my go-to makeup look this Christmas! The cult favourite Anastasia Beverly Hills Modern Renaissance palette. This will definitely make heads turn on your nights out. This is without a doubt, one of the beauty worlds best palettes. Well, in my opinion anyway. People absolutely love it and to be honest, it’s not hard to see why. To make a change the warm tones, why not opt for a poppin’ smoky pink instead? Here I used Vermeer for my base, a mixture of Buon Fresco and Love Letter with Cyprus Umber on the outer lid. 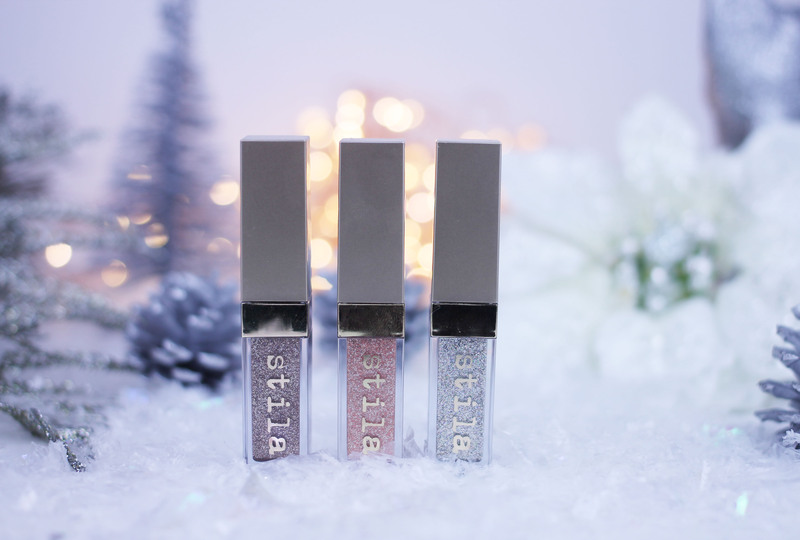 Teaming these up with the beauty that is Stila Cosmetics Written in the Stars set, Kitten Karma is my go-to out of this set. It’s a gorgeous rose gold/copper and it is the perfect addition to the glitz and glam of night time festivities. 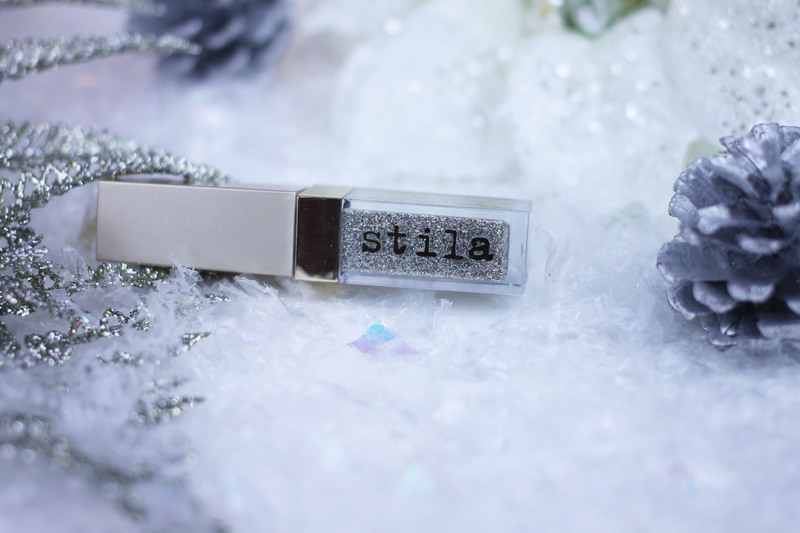 But, for this look I opted for Diamond Dust and holy crap, it’s just gorgeous isn’t it? It’s a stunning silver with flecks of purple/pink glitter in. Not gonna lie, my makeup is going to be well fit this party season. 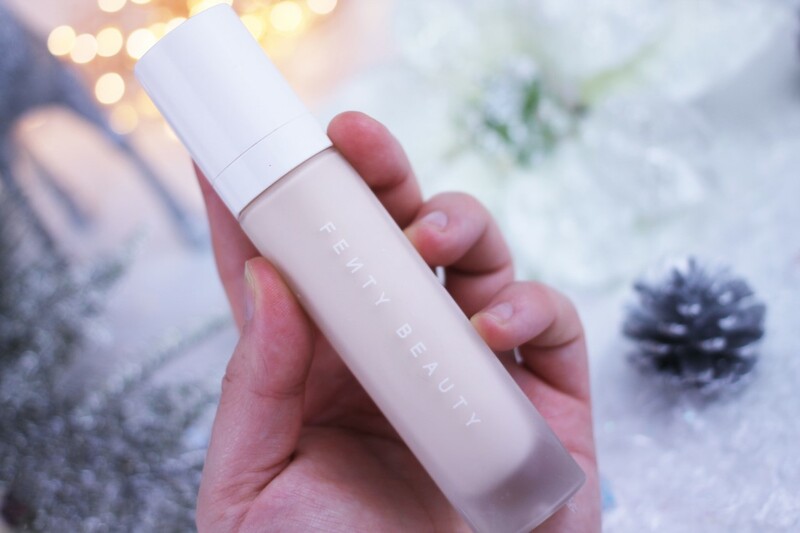 it just has to be my trusty Fenty Beauty Pro Filt’r Foundation. 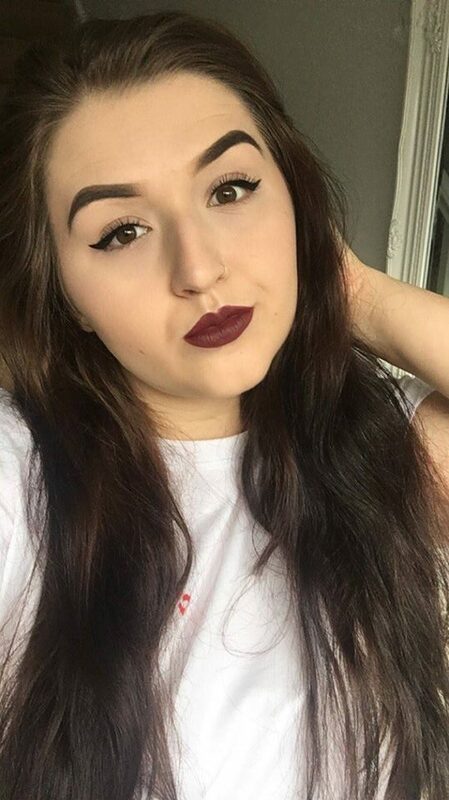 I absolutely love this foundation and everything about it. My face never feels clogged up when I use this, which you’ll know if you’re a regular reader of my blog. I can’t recommend this foundation enough. 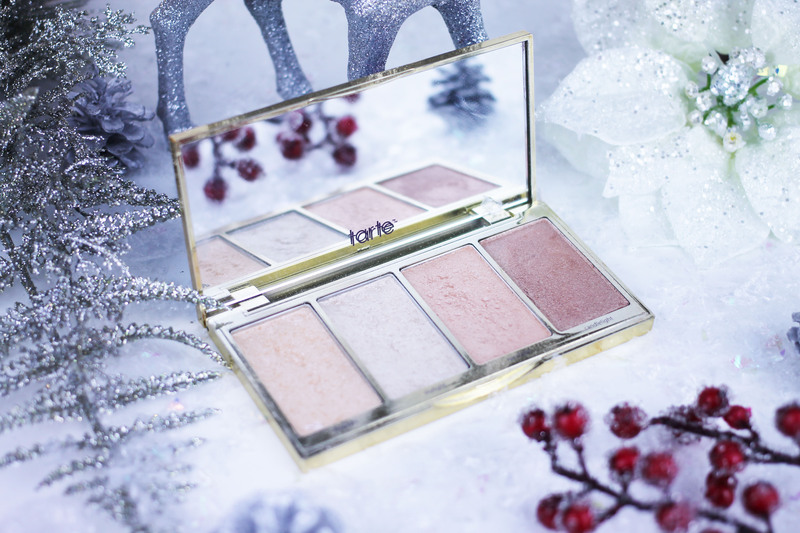 Your skin will look flawless this party season with this bad boy. My concealer of choice is my bae, Tarte Cosmetics Shape Tape Concealer. This is constantly selling out and you can see why once you get your hands on it. I don’t think any concealer quite compares to this. It’s a full coverage but it’s not cakey or horrible. It’s so light on your skin and covers up those pesky blemishes and dark circles like a dream. Plus, you barely need any product when you actually apply this which I love. I’ve used this practically every day since July and there’s still TONNES left. 10/10, you all need this ok. If you order this from QVC UK, you also get a shape tape sponge with it which is a godsend and my new favourite sponge applicator. It’s soooo good. 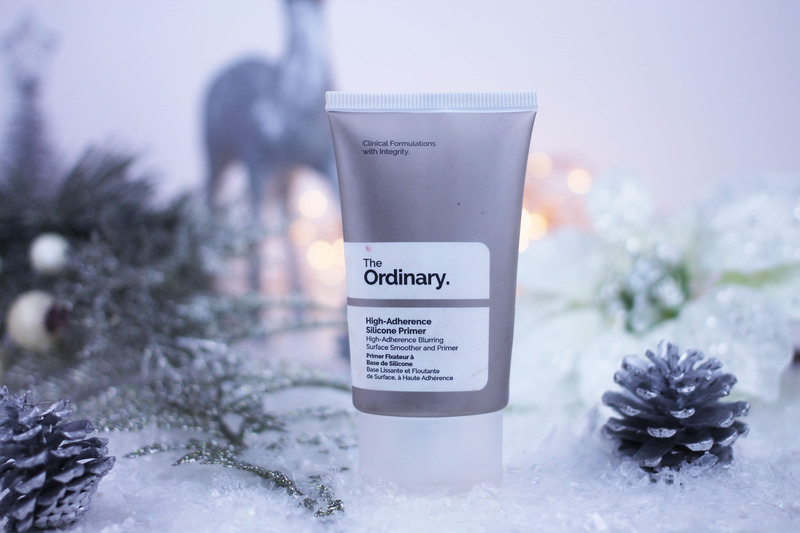 For my primer, I decided to switch things up a bit and chose The Ordinary High Adherence Silicone Primer*. This is my first experience with a silicone based primer and I have to say, I’m pretty impressed. 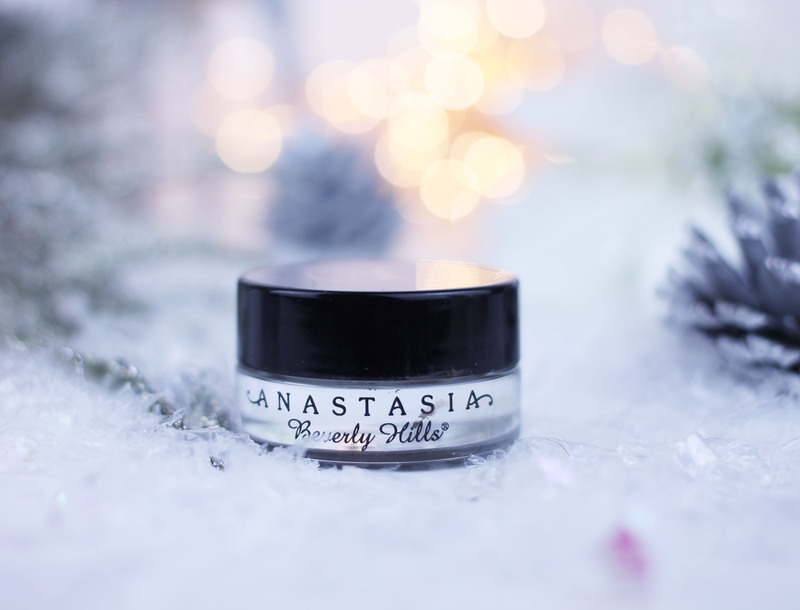 This primer makes my makeup stay on longer than any other primer (soz NYX) and it of course, does all the usual bits and pieces too like minimises my pores, my lines and creates such a nice airbrushed finish. It’s less than a fiver too and it’s absolutely fantastic. 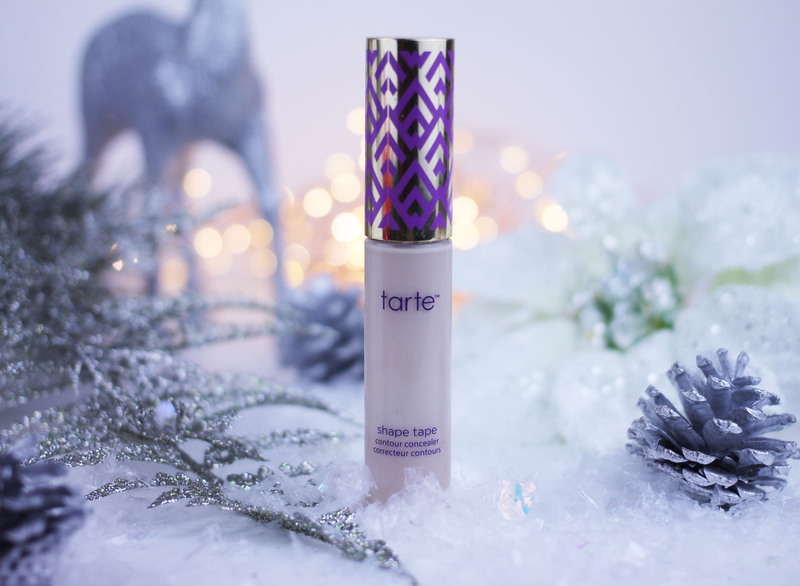 I’ve opted for my all time favourite Tarte Cosmetics Skin Twinkle Highlighting Vol. II palette. Using my Eco Tools highlighter fan brush, this creates the most gorgeous glow on my cheekbones. If I’m feeling proper extra, I’ll use the Skin Twinkle palette when I go out or have a meal. Sometimes, even on a daily basis, even if I’m just going to work. You can go subtle or full on with this. My favourite shades are without a doubt Daylight and Skylight. For the brows, you know it has to be Anastasia Beverly Hills Dipbrow Pomade right? I can’t imagine using anything different on my eyebrows. 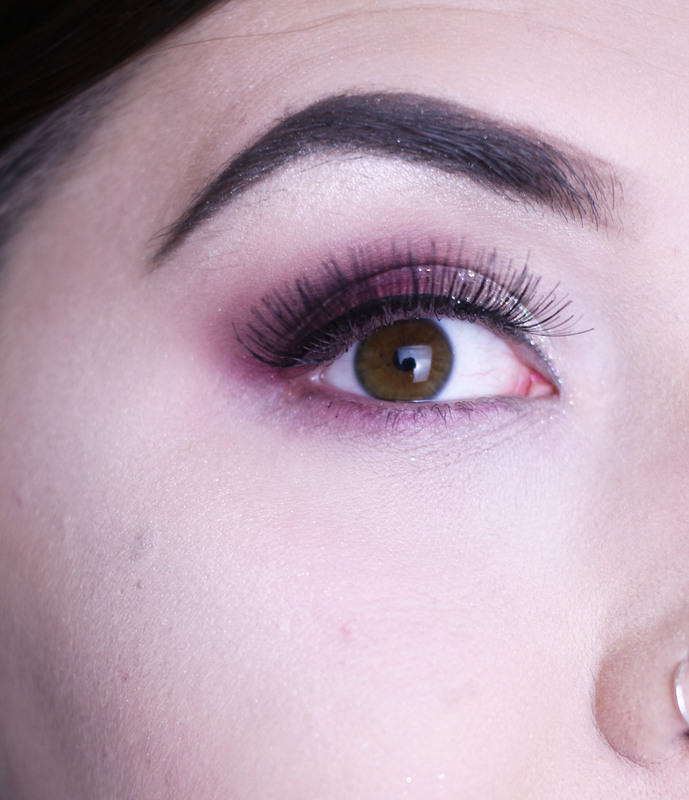 No makeup look is complete without some good ol’ falsies either. Since this is the nighttime festive look and not the daytime. 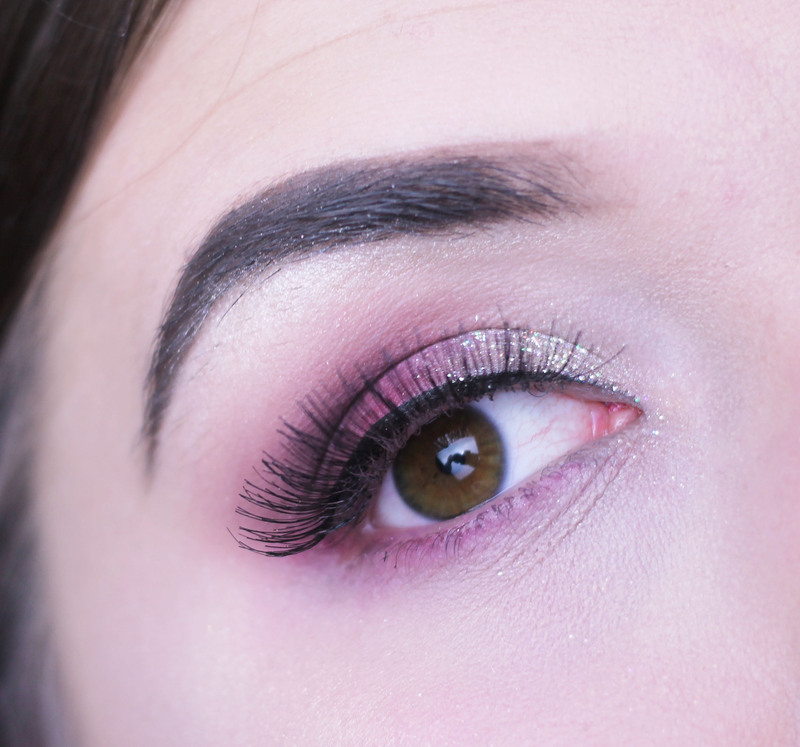 Instead of the Ardell Demi Wispies* I wrote about yesterday, today is all about the Eyelure Exaggerate No.141* lashes courtesy of We Love Lashes (falseeyelashes.co.uk)! These beauties will be perfect for any night out. They are so dramatic but not in a ridiculous kind of way. They’re a good dramatic and they can really define your eye look. They come with their own lash glue which is proper easy to use. I did have to cut these down quite considerably but it didn’t ruin the lashes at all, so, I was really happy about that. 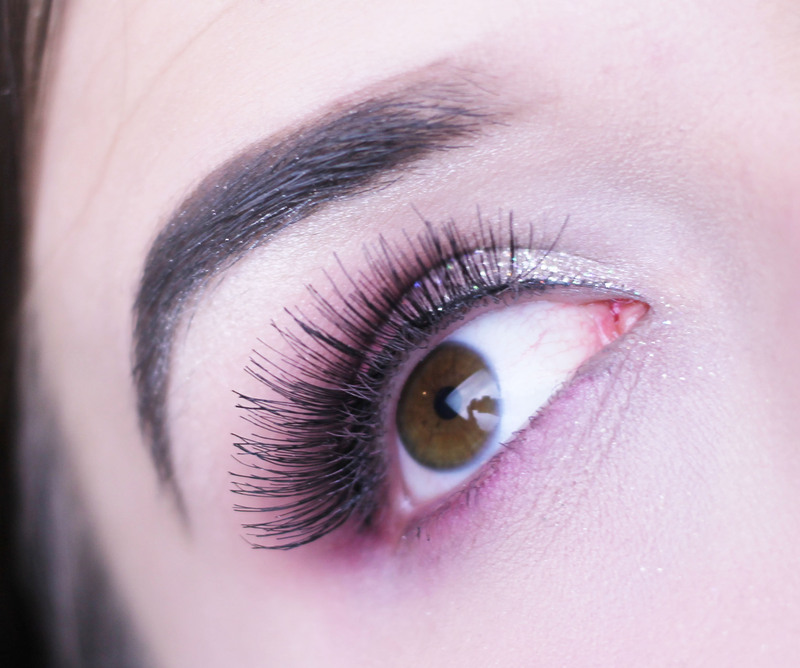 I’m a noob when it comes to falsies so I like any lashes that are easy, good quality and look great. These fit the bill perfectly. It feels like I’m not wearing any lashes when I have these on because they’re so light weight. Oh, they’re also reusable! These are just £5.65 from False Lashes. They have so many different brands on offer and the prices are some of the best I’ve seen. Sorry, once more there is no lipstick *sobs* the coldsores (yes plural now, waaa) are taking over my mouth so it’s a bit grim. If you’re someone who can do a wicked winged liner with this style of makeup, then go for it. 9 times out of 10, my winged liner fails miserably so I haven’t done it for this – just incase. If I have any plans for NYE or any parties, this is going to be my look. I love it so much, it makes a change from my usual warm tones to have something bold and pink. Plus, you can’t go wrong with pink can you? What’s your night time festive look this year? What do you think to this? Let me know in the comments below! 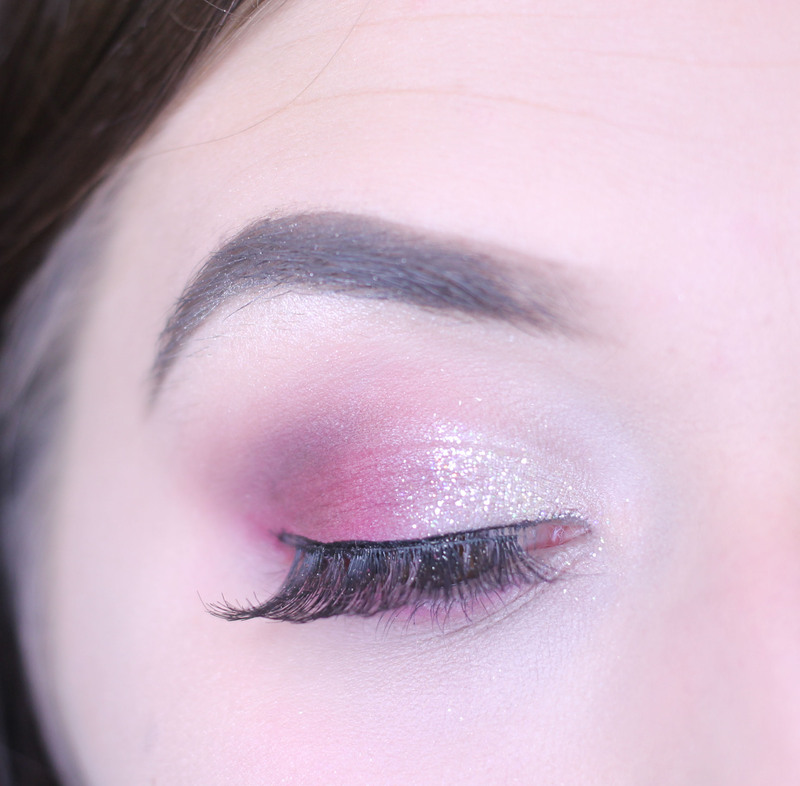 Make sure you check out yesterdays post all about my daytime festive makeup look !